Researcher Name: Beth N. Rossheim, Ph.D. Deadline: I would like to conduct these interviews between now and January 2016; sooner is better! I am conducting architectural research at The College of William and Mary on the “tiny house” movement in North America, looking both for significant historical precedents and the philosophical motivation of users. This material will be the basis of an article and a university presentation. As well, I intend to design and build a model of a typical tiny house with the university architecture professor. 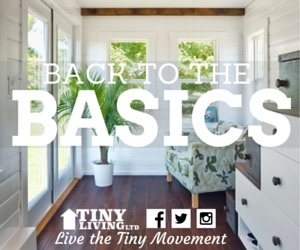 My request is for an opportunity to interview owners and/or occupants of tiny houses to expand my understanding of their desire and commitment to live small. The interview will be by telephone or e-mail, but will not be recorded or video taped. All names will be used or not used according to the wishes of the individual(s) involved. I would be very grateful for the opportunity to talk with you. This is planned as an open-ended interview with no intrusive questions. Ideally, I would like to connect with individuals (single or couples or families) who have built and are occupying a tiny house. I do not need to limit this to individuals in my area although that would be ideal. I estimate the time of the interview at 15 minutes; more could be added if the individual(s) are eager to discuss their motivation for this lifestyle. Thanks so much for your willingness to share this experience and your personal commitment to this dramatic housing movement. 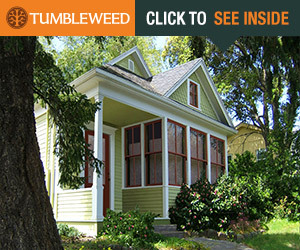 Previous postCasting Call: Planning to own a tiny home? We Want You! 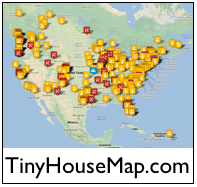 Please differentiate between “small” house and tiny house. My comfortable small house was built in 1924 and has been our castle since 1986. 900 sq. ft.
Hi Janet, That’s a good question. Considering that a ‘normal’ size home these days is about 2,400 square feet, your 900 sq. ft. home would certainly qualify. One need not have a garden shed on wheels to be considered a small home. Feel free to contact the researcher directly to find out more regarding what she is looking for. Hi Gayle, I don’t know if the person is reading comments on this page. You may want to contact her directly. She may actually be interested in talking to you. I AM A PAST PERSON HAVING DONE PROJECTS. I WATCH THESE EPIODES WITH WONDER. MOST SHOWS OF THIS TYPE VISIT AFTER SEVERAL WEEKS, STILL IN THE HONEYMOON PHASE, SHOW ALL SMILING. THESE END IN JUST MOVING INTO THE HOME. HOW CAN PROFESSIONAL PERSON WORK WITH TWO THINGS STICKING OUT FROM A WALL AS THE PLACE TO HANG YOUR CLOTHES, ONE FOR A MAN, ONE FOR WOMAN. THIS IS NOT EVEN PROBABLE, NO CLOSET SPACE, NO REAL KITCHEN STORAGE, NOT EVEN ROOM FOR A SET OF ANYTHING. I COULD DO THE SPACE, BUT NO HIGH SCHOOL PAPERWORK, DIPLOMAS. IF YOU ARE SENDING OUT DATA ON HOW RESEARCH IS GOING I’D LOVE TO GET ON THE LIST. AFTER MONTHS OF WATCHING THE LOGISTICS REALLY BOTHER ME. A CLINICAL SOCIAL WORKER COULD PEHAPS POINT OUT SOME AREAS OF SOCIAL INTRIGUE. IN EUROPE 5 PEOPLE SPEND THEIR LIVES IN 900 SQ. FT., BUT CERTAINLY NOT 127 SQ. FT. FOR YOUR ONLY STORAGE. VISITING ROME, 900 SQ. FT.FOR 5 IS NORMAL. I JUST FEEL THEIR “STUFF”, iS SOMEWHERE, NOT IN 127 SQ. FT. FOR 20 YEARS.